Installing or replacing technologies in technical rooms of buildings is often a problem, especially due to limited accessibility. When designing the Micro CHP units, we have considered these obstacles. Their compact construction fits virtually everywhere. Owing to that, their installation is fast and does not incur considerable extra costs. Even the subsequent maintenance of the units does not require a lot of space. 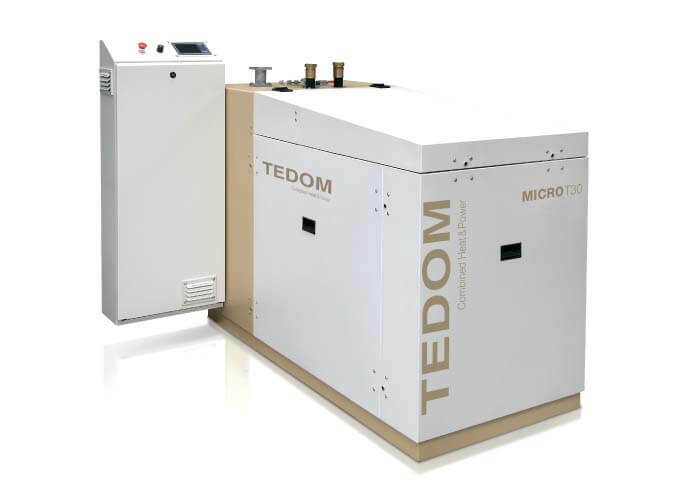 The compact size allows the installation of a unit even into cramped spaces. Due to all-in-one design and a non-ventilated enclosure, there are no complicated construction adaptations. Due to a sophisticated control system, the unit operation is completely automated. The tightly closed sound enclosure ensures silent operation of the unit. High quality design and regular maintenance ensure a long service life of the aggregate. A separate revolving switchboard allows adjusting the position according to the space dispositions. 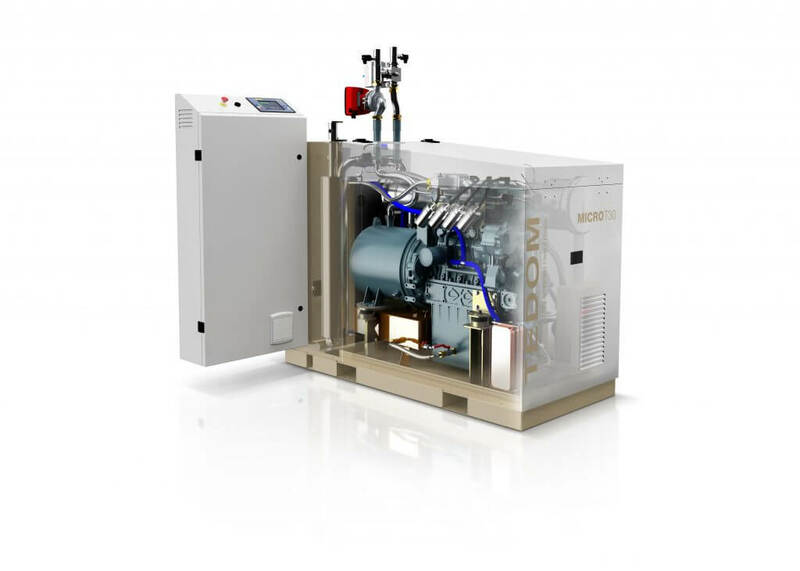 Hotels and guesthouses are typical places that benefit from the use of cogeneration. They are objects that use electricity and heat primarily for their own needs. At the same time, the CHP units can also serve here as emergency electricity sources. Gas with methane content is released from sludge in the wastewater treatment plants. 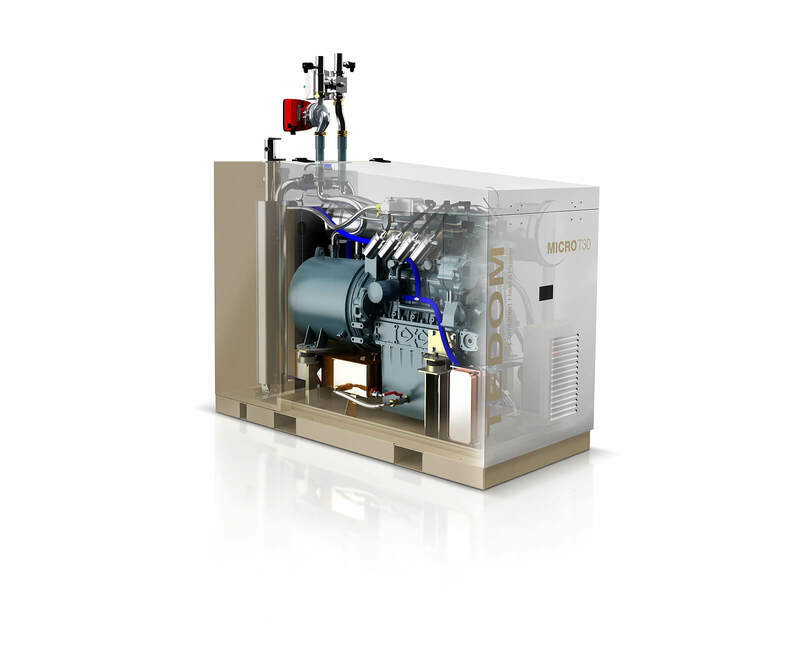 It can be used as a fuel for CHP units. Smaller wastewater treatment plants use the Micro CHP units to produce the electricity that can be both supplied to the treatment plant and sold to the grid. Hospitals are frequent places where the CHP units can be used. The need for the continuous electricity and heat supplies of these buildings is a direct prerequisite for using the cogeneration. 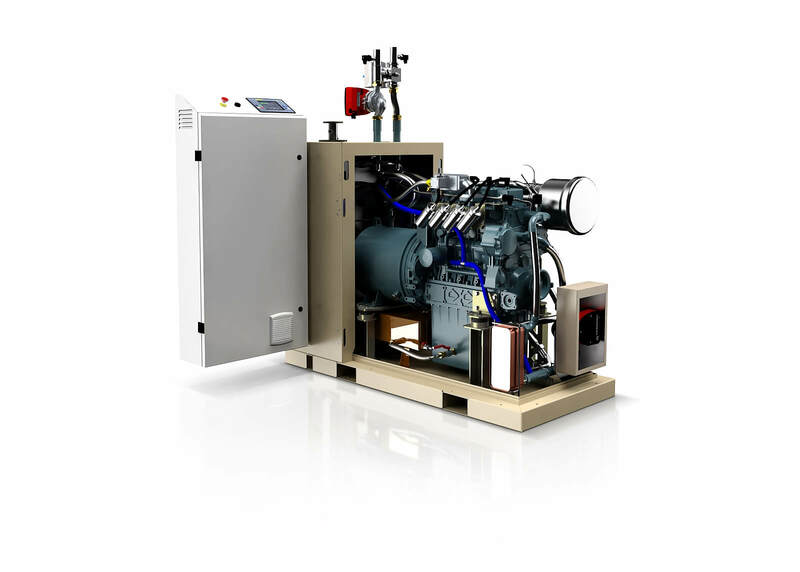 Depending on the size of the compound, CHP units of larger outputs can be used in hospitals.